The team at Saybrook Point Inn takes professionalism to a new level. Their commitment and attention to every moment of our wedding weekend made everything so incredibly smooth and left us with plenty of time and energy to enjoy. Their food is amazing, their venue beautiful, Krystal is organized and responsive to a fault, and they truly think of every single detail relating to your night. If you are looking for a beautiful venue that will take a huge chunk of wedding planning stress off your shoulders, I couldn’t recommend SPI more! Having our reception at Saybrook Point Inn was one of the best decisions we made in the planning process! Krystal made the entire planning process from start to finish so easy, she is extremely organized, responded almost immediately to every email and phone call and countless question we had along the way. She never tried to persuade us with decisions but was extremely helpful when we needed advice or suggestions. We couldn’t have been happier with the Inn and staff the weekend of our wedding! From the moment we arrived to drop off the wedding decor a few days before until they were handing us the top of our cake the next morning, the staff was phenomenal. They treated us and our guests like absolute royalty. Every staff member we encountered was welcoming, friendly, polite and professional. The grounds were immaculate and made the weekend so fun! The bridal party loved spending the weekend there, enjoying the pool, Saybrook Room, restaurant and bar and walking around the marina. Our guests raved about how good the food was and mentioned that they felt like the appetizers kept coming and coming during cocktail hour! Matt and I especially loved that our personal servers were at our side with our own whole tray of hot appetizers from the moment we came in from taking pictures. They were attentive throughout the entire reception, we never had to wait for a drink or anything we needed. They also made sure the end of the night was a breeze! Matt and I nor the bridal party had to lift a finger to get everything packed back up. They even went as far as decorating our bed as a surprise when we got back to the bridal suite! If we could give SPI and the staff more than 5 stars we absolutely would, highly recommend! 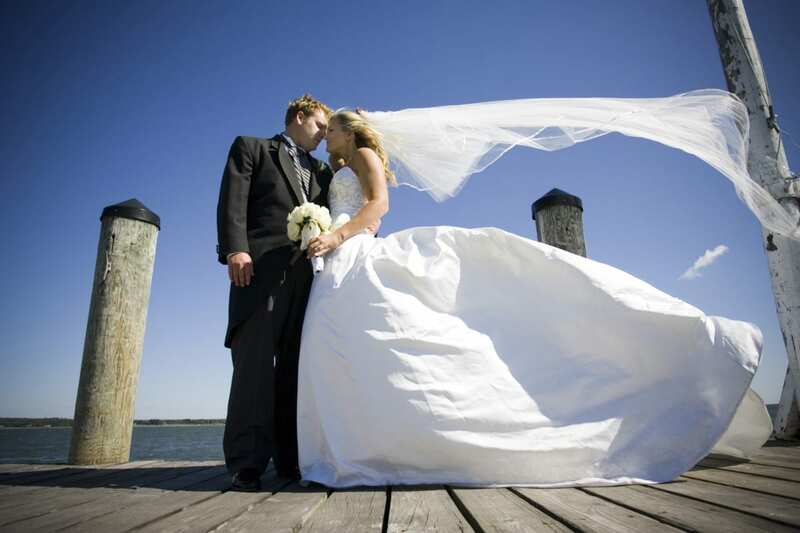 Get in touch with our Wedding Coordinator and start planning your dream wedding.